Cerimon House (5131 NE 23rd Ave., 503-307-9599, cerimonhouse.org) is an Alberta neighborhood institution billed somewhat mysteriously as "a sanctuary for the humanities." It hosts everything from weddings to textile Tuesdays, and received a dignified YouTube testimonial from Scottish actor Brian Cox. Yet the site's most intriguing event might be its monthly "labyrinth walk," which is open to the public on the third Saturday and Sunday of each month. 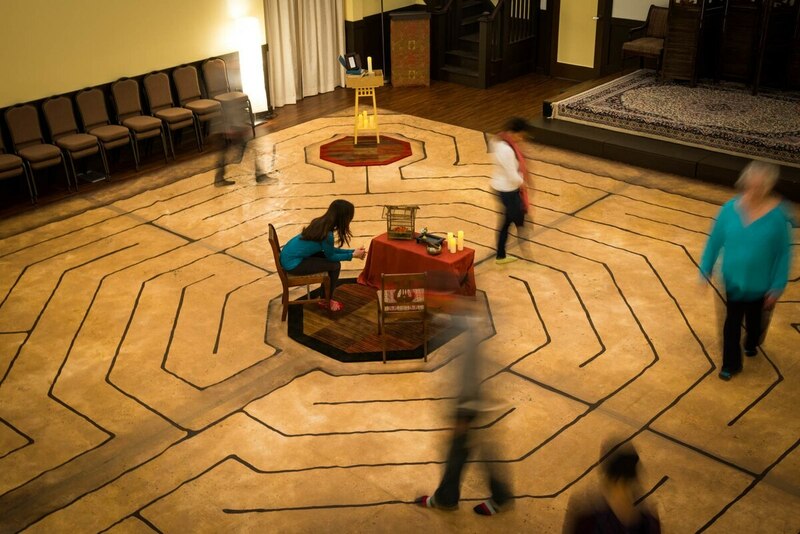 Less a puzzle to be solved than an otherworldly experience to be slowly contemplated, the labyrinth is framed not by walls but by lines on a 33-square-foot floor—imagine the maze from a kids' menu blown up to a few hundred times the size—trusting that spoil-sport visitors won't violate the rules by simply walking straight to the center.